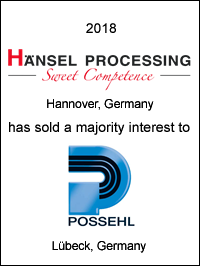 The shareholders of the Hänsel Group (“Hänsel”), one of the world’s leading manufacturers of plants and systems for the confectionery industry, has sold a majority stake to L. Possehl & Co. mbH. Hänsel consists of the operating companies Hänsel Processing GmbH, Candy Recycling GmbH and Hebold Systems GmbH. Together, these three companies generated sales of approximately €47 million in 2017, of which Hänsel Processing GmbH accounted for more than three quarters of sales. Hänsel manufactures a wide range of products worldwide, including hard candies, jelly and fudge, toffees, chewy candies, caramels and cereal bars as well as medicated candies and food supplements. The company serves confectionery manufacturers such as Katjes, Nestlé, Dr Soldan and Storck. 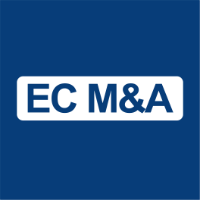 EC M&A acted as exclusive financial advisor to Hänsel in this transaction.